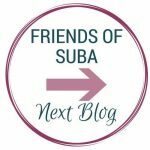 Welcome to the Friends of SUBA Blog Hop where we are sharing some Stampin’ Up! Retiring Products with you. SUBA are the Simply Unique Business Angels, Louise Sims and Pip Todman, who help many with online business tools. If you’ve hopped on over from the lovely Ginny Harrell, then you’ll have already seen some of the retiring products. Well, just remember that if you’re sad at what is departing, you’ll be extra excited at what will be arriving. This week I ran this super cheerful Sunshine and Rainbows class. The weather here in the UK has been miserable of late and this class really helped to lift our spirits with it’s bright and cheerful colours. 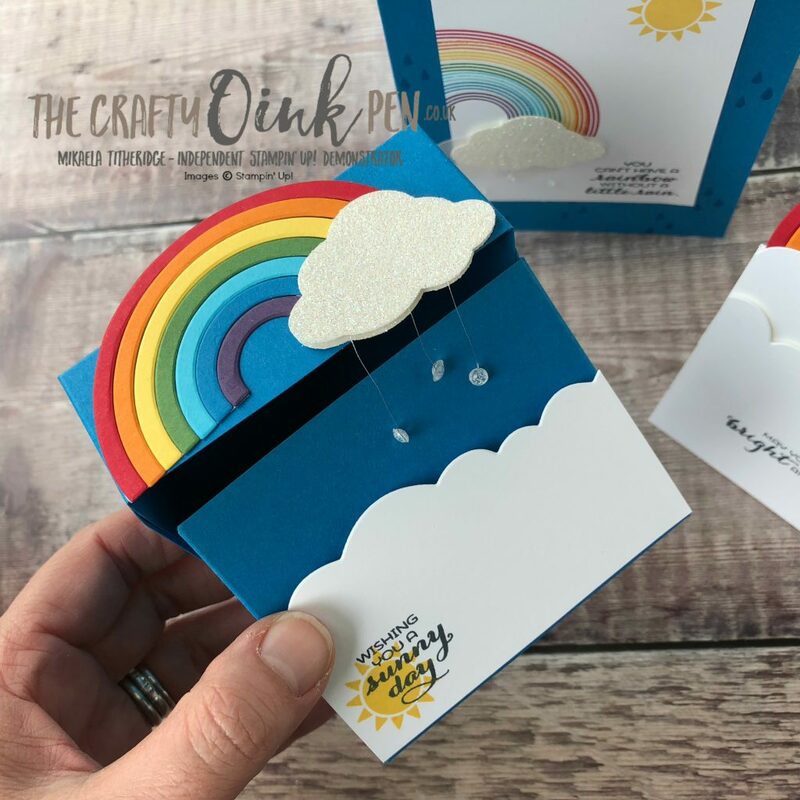 Who wouldn’t smile at the sight of an amazing rainbow too? 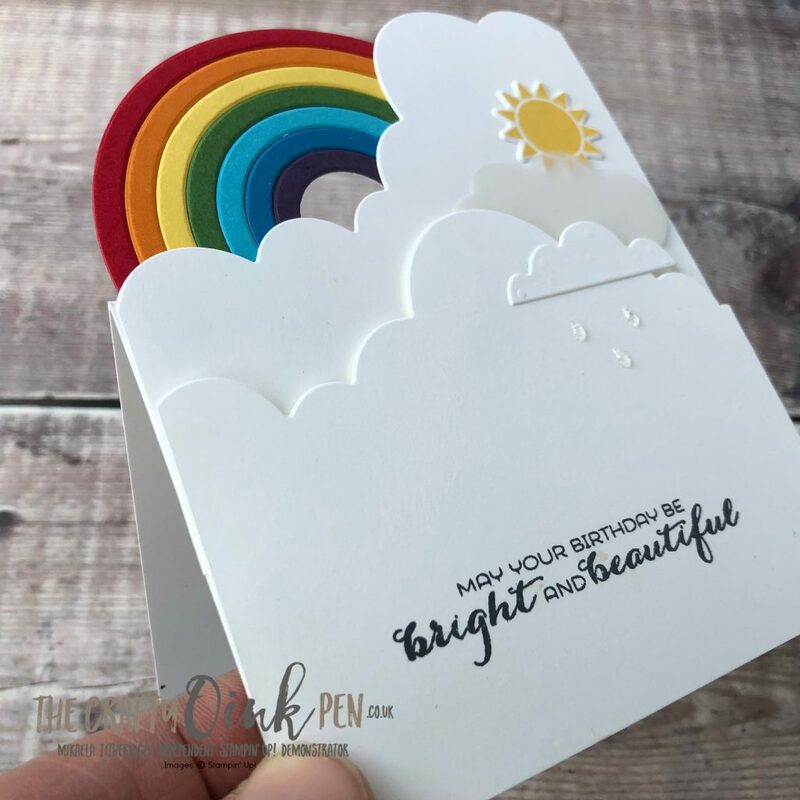 I saw a card like this on Pinterest that had me switch the colours and have us create it with simply Ink, paper and punches. The arches of the rainbow need to nest well, or you can find they don’t sit nicely. 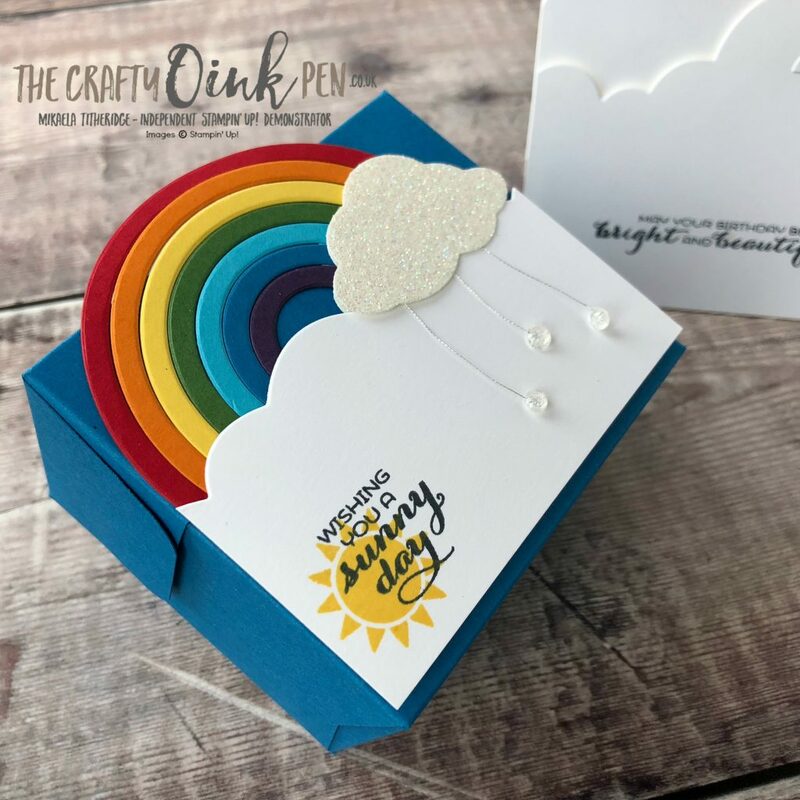 If you happen to have purchased the entire Bundle, you can sit the stamp in the coordinating die, before picking it up onto your acrylic block. This ensures you haven’t accidentally distorted the arc whilst sitting it on the block. The tree canopy of the Tree Builder Punch makes great little clouds. So easy to create and therefore no need for dies. 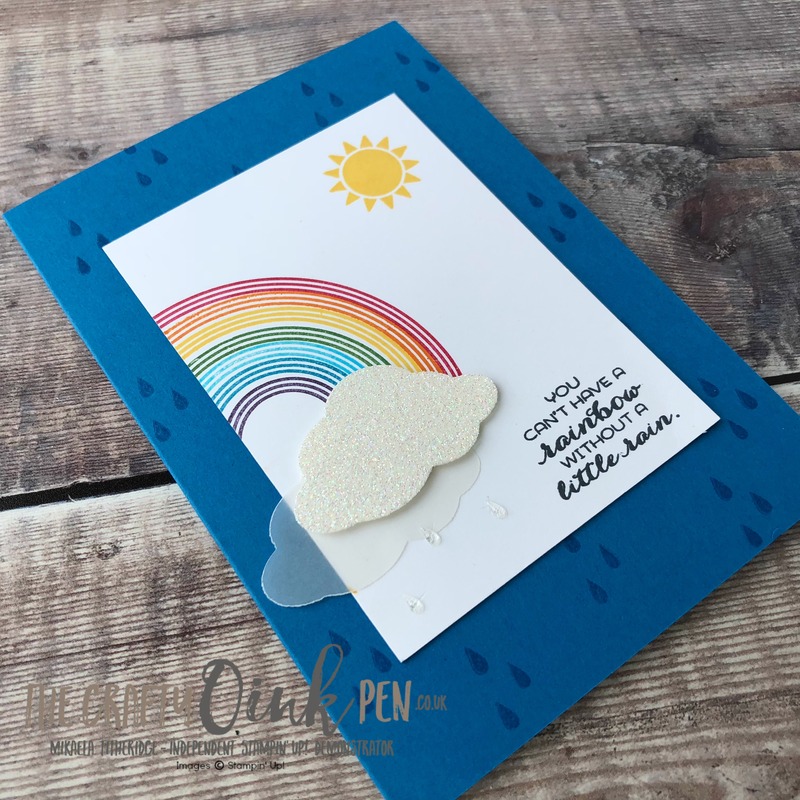 Sadly this versatile punch is one of Stampin’ Up! retiring products, so get it whilst you can. I love how the rainbow on this card sits proud of the base card. It adds real interest to what could have been a quite ordinary card. From the side it resembles an easel card. 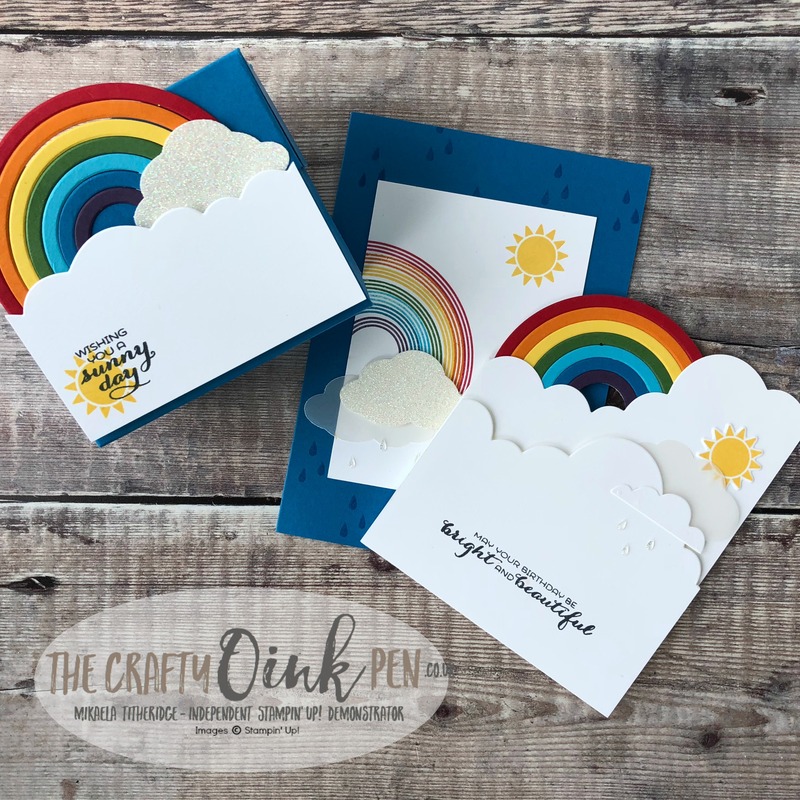 To give stability to the rainbow, I die cut a plain white circle of card stock and stuck the rainbow to it. Trim the excess card stock off and with a 3/4″ punch, punch out the centre. You see the pretty little raindrop embellishments? Well I couldn’t help but create some real hanging droplets for the box we made. Isn’t this just a cute little box?! One sheet of A4 card stock and you have a little lidded box. Attached to the lid, I added a bulk of the embellishments, so that they slotted into the lower clouds. The raindrops are two round embellishments attached together to make a sphere and attached to some metallic thread. Fiddly, but ever so effective and worth the hassle. Aren’t those raindrops so cute?! Not often we say that about rain is it? 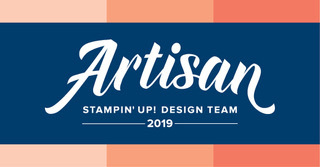 Want these Stampin’ Up! 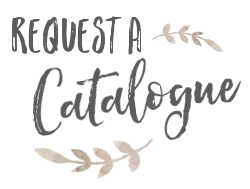 Retiring Products? I’m sad that this set will be leaving us. It’s so versatile for many reasons, least of all great company for a Unicorn. I had so much fun creating this class and I know my ladies had fun recreating these fun and cheerful projects too. So up lifting and just what we need in the UK at the moment to make us smile. Well, I hope I’ve inspired you with this must have set, and that you’ll consider buying it before its too late. I know several of my ladies who didn’t plan on buying it, soon changed their minds. 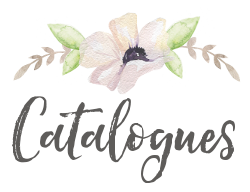 A full list of the Stampin’ Up! 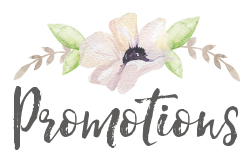 Retiring Products used to make my projects, can be found listed below. 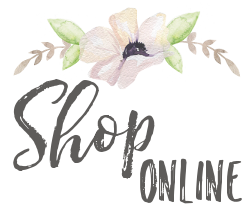 Click on any image and you’ll be taken to my online shop. 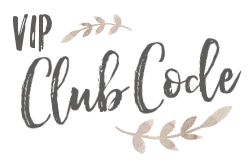 Just remember to use this month’s club code at check out and make sure you continue the hop for more inspiration. Next up in the hop is the lovely and very talented Deborah Carder so hop on over to see what she has in store for you. You can find more information about the Simply Unique Business Angels, Louise Sims and Pip Todman over on their dedicated Business website SU Business Angels. 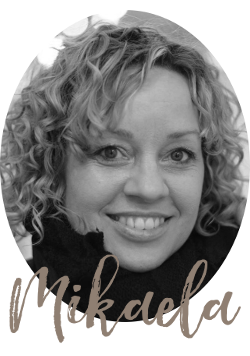 Awww I LOVE this projects Mikaela – having not purchased this set I’m sad it’s retiring when i see such beautiful projects. love your droplets on the box too! Such a bright and cheery card!! I love it! !